In a crackdown on co-production abuse that is expected to hit films across Europe, the UK is to announce today that it is raising minimum spend to 40% for co-productions with France, Italy, Denmark and Iceland. 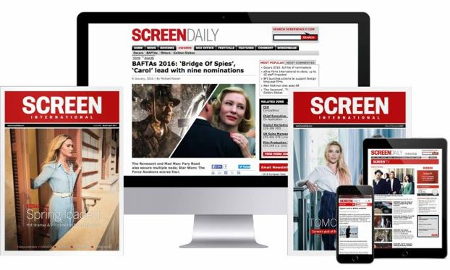 The hike, predicted last week in Screen International, means co-productions with the four European countries must spend at least 40% of their budgets in the UK instead of the current 30%. The government said that the move follows clear evidence that international co-productions from these countries are benefiting from UK tax relief - which unusually is applicable to the whole budget rather than just the UK spend - without delivering the desired level of investment in UK film talent and facilities. "We have to make sure the co-production system delivers real cultural and economic benefits to both partners," said films minister Estelle Morris. "Too often co-productions have not brought in the work and have not been screened in the UK. I am determined to address this." Morris added that this week's step is just "a stop-gap measure, not a long term solution." The government is midway through a major review of its co-production treaties, which have been drawn up ad-hoc over the last 30 years. "The end game has to be to create a whole new landscape of treaties, properly geared to the realities and the opportunities for film-making today," Morris said. "The on-going root-and-branch review of co-production treaties being carried out by the DCMS, the UK Film Council, and industry experts will be essential in meeting this aim." The government's tough stance in recent months - this week's move follows its decision to double the minimum UK spend on co-productions with Canada to 40% - is already hitting home in some quarters. The US' Myriad Pictures' today announced it was slashing its London office and moving sales back to Los Angeles after the government refused to certify The River King as British (see separate story). As with Canada, this week's move is aimed at boosting reciprocity following an explosion in co-production levels following the launch of tax support under Section 48. Many of the films qualifying as British do so simply to access UK tax money, with the resulting UK spend amounting to little more than paying co-producer fees or some post-production work. Many in the industry regard simply hiking the minimum spend to 40% as throwing out the baby with the bathwater. They hope the review will come up with a more sophisticated way of clamping down on abuse. But the government said this week's announcement had the full support of key industry partners. Amongst those endorsing it were Steve Norris, British Film Commissioner and head of the UK Film Council's International Department. "Film is a global industry, and balanced international relationships must be the cornerstone of any strategy for the future of the UK film industry," he said. "We welcome these moves which, together with the longer-term reform of the UK's network of production treaties, will help to ensure that they deliver more investment in UK talent and the UK production infrastructure." Ronnie Planalp, director of film for PACT, said that the review "is making steady progress toward long-term solutions" but that the tightening up this week was "a necessary measure at this time". Mark Devereux, chair of the BSAC working group which is reviewing co-productions, commented: "Ensuring that there is balance between co-producing countries is an important first step in establishing a healthy co-production regime, and this need for balance is enshrined as a key principle in the UK's network of treaties."